Agnes E. Frazier, age 98 of Troy, went to meet her Heavenly Father on Saturday, September 8, 2018 at her residence. She was born March 8, 1920 in Springfield to the late Frank E. and Sarah E. (Basey) Burton. 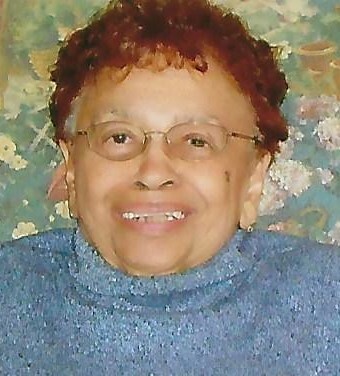 Agnes is survived by her daughter Paula Frazier of Troy; son Bruce (Brenda) Frazier of Dayton; five grandchildren: Adrienne Wadsworth, Walter Scott, Kevin Frazier, Tony Frazier, and Cha’de Frazier; seven great-grandchildren; brother Dr. Reverend Olie Burton of Chillicothe; four sisters: Kathryn Ball of Chillicothe, Samantha Burton of Springfield, Evelyn Washington of Chillicothe, and Elvira Valentine of Chillicothe; as well as brother-in-law John Moore of Dayton. She was preceded in death by husband Paul L. “Jake” Frazier on April 28, 1975; grandson Keith Frazier; granddaughter Selena Frazier; four brothers: David Burton, John Thomas “Tom” Burton, Frances D. Burton and Ellsworth S. Burton; as well as four sisters: Beryl Burton, Hester Moore, Virginia Seibles, and Jean Daniels. Agnes was the oldest of 14 brothers and sisters. She was a 1938 graduate of Springfield High School and a 1942 graduate of Wilberforce University. She was a member of St. James A.M.E Church in Troy for 46 years where she sang with their choir and served in fundraising for the church. She was currently a member of Ginghamsburg United Methodist Church for the past 15 years. Agnes, with her daughter Paula, led bible study in several long-term care facilities. Agnes worked as a school teacher for several years, serving the Miami and Montgomery County area school districts. She retired from Wright Patterson Air Force Base in 1983. A funeral service will be held 11:30 AM Monday, September 17, 2018 at Fisher-Cheney Funeral Home, Troy with Care Pastor Shirley Dearing officiating. Visitation will be from 10:30AM-11:30AM at the funeral home prior to the service. Interment will be in Riverside Cemetery, Troy. Donations in her name may be given to the Ginghamsburg Church-New Path Food Pantry: 7695 S Co Rd 25A, Tipp City, OH 45371.